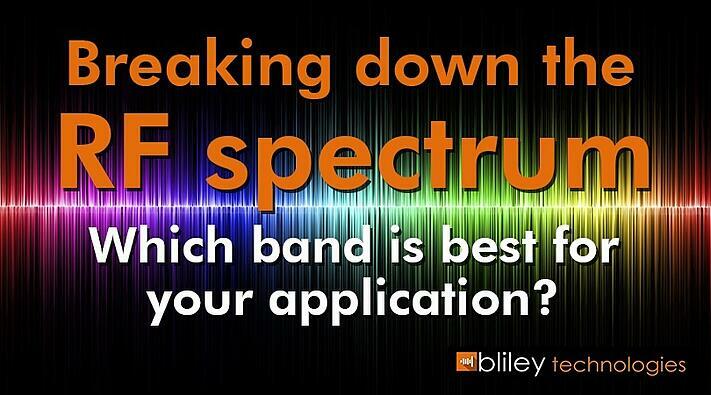 Breaking Down the RF Spectrum – Which Bandwidth is Best for Your Application? The harnessing of the electromagnetic spectrum represents one of the greatest technological leaps in human history. So many luxuries and necessities, products, services, and systems we take for granted are all, in some way, linked to electromagnetic technologies. More specifically, to those which make use of the RF spectrum. 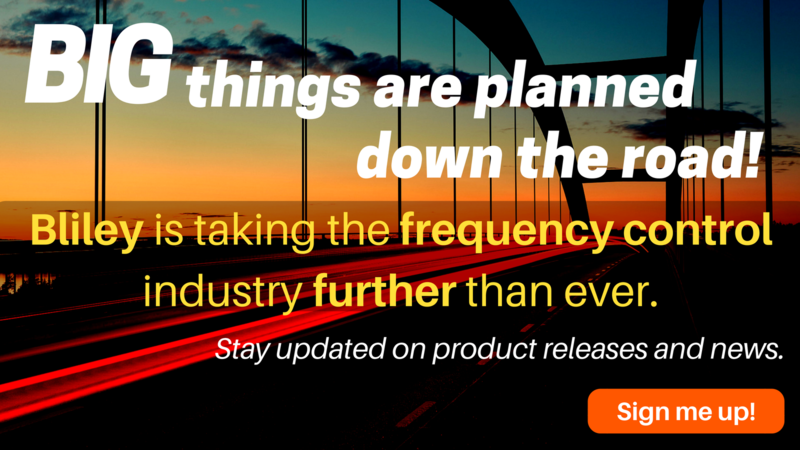 But as anyone who works in the industry knows, the first order of business when designing a new product or system is to determine what part of RF spectrum will be the best fit for the application. 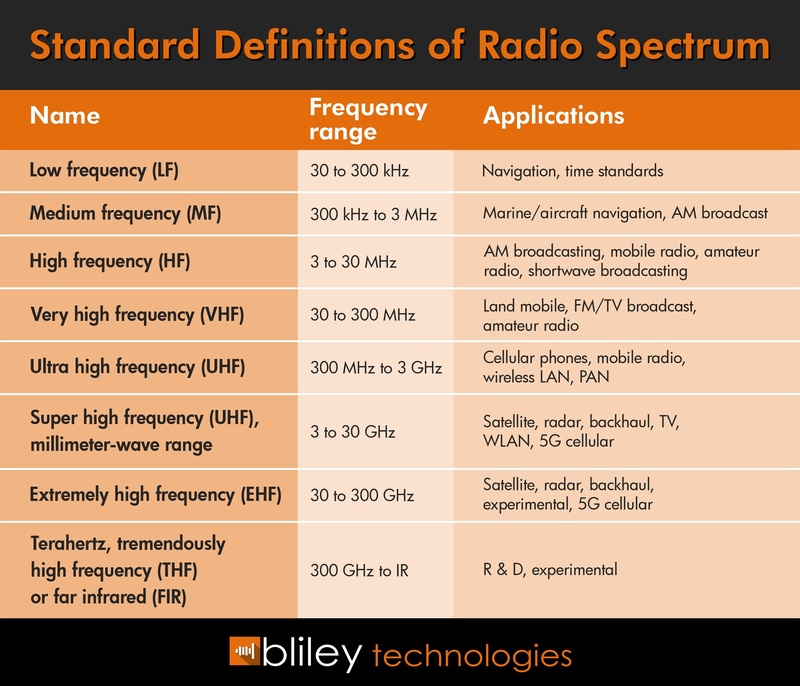 That’s why we’ve taken the time to put together this guide that explains what type of application each part of the RF spectrum is best suited for, and which is the best fit for your project. The electromagnetic spectrum is classified into different segments based on the frequency of signals in those ranges. Signals with a frequency between 3 kHz and 300 GHz are considered to be within the RF spectrum. The RF spectrum is utilized by governments, military forces, broadcasting companies, and private individuals alike. But when too many people are all using the same frequency ranges for different things, it creates interference and poor performance. In order to prevent these problems, regulatory bodies like the Federal Communications Commission (FCC) began partitioning the RF spectrum, designating certain frequency ranges for specific uses by the public and private sectors. The most widely used frequencies are those that fall somewhere between 500 MHz and 3 GHz because they offer a well-rounded series of advantages in terms of transmission range, ability to support high rates of data, and antennae size. X bands (8-12 GHz) are used mostly for radar systems. Bandwidth allocation has simplified the matter of determining which part of the spectrum is ideal for a given application because it’s not just a matter of engineering, it is about complying with the law. Countries which are members of the International Telecommunications Union (ITU) have their own regulatory bodies which allocate spectrum bandwidth for different applications. In the United States, the FCC oversees private sector use of the RF spectrum, while a lesser-known body called the National Telecommunications and Information Administration (NTIA) handles the frequencies reserved for military and government use. Of course, even with all these agencies, interference can still happen, and so every three years, different nations send representatives to the World Radiocommunications Conference to resolve disputes over bandwidth allocation and other issues pertaining to the use of the RF spectrum. Back in the day, there was more than enough bandwidth to go around. But with the rapid growth of new technologies and industries, especially mobile phones, the RF spectrum has become more and more crowded. The challenge currently facing RF engineers is that we’re simply running out of available bandwidth. New technologies like 5G and the Internet of Things (IoT) are will require even more bandwidth. One solution to this has been to expand the use of the higher frequencies in the RF spectrum. New developments have allowed companies and governments to make much greater use of the millimeter wave (3-30 GHz) and the Extremely High Frequency (EHF) ranges (30-300 GHz). In addition to new consumer goods, these advances are also enabling the next generation Electronic Warfare (EW) systems, space-based Wi-Fi and other SATCOM applications, and much more. Of course, not every application is suited to those frequencies, so what solutions are available for those working on other parts of the RF spectrum? That’s where Real-Time Spectral Analysis (RTSA) enters the picture. RTSA represents a major leap forward in RF spectrum analysis. It allows real-time continuous monitoring of dynamic signal interference and agile frequencies by using overlapping fast Fourier transforms (FFTs) to capture frequency events with a 100% probability of intercept. Using RTSA provides a much more complete and accurate picture of the source and nature of RF spectrum interference. 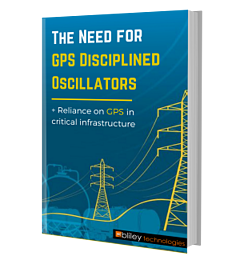 Armed with this information, RF engineers can make better decisions about how to overcome this persistent problem. Learn more about how RTSA can help you cope with the challenges of an ever more crowded RF spectrum.